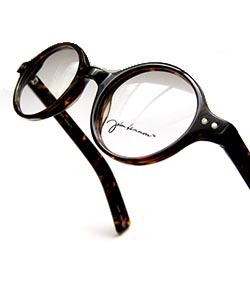 The John Lennon Collection by Adlens is inspired by the musician’s famous signature frames, and marked by a spirit of innovation and charity. Created in partnership with Lennon’s own estate, the light and thin round metal frames use Adlens’s innovative “fluid-injection lens technology” which enables wearers to focus the lenses to their own personal prescription. This breakthrough technology creates new opportunities in eyewear, including a solution for individuals in developing countries with limited access to eye care and a unique option for individuals with varying optical needs such as nearsightedness and presbyopia. With these lenses you can change your lens focus based on the immediate circumstances and the vision you require, with one pair of glasses. Since they are instantly adjustable, they are also great for a spare pair. In addition to cool style and unique technology, The John Lennon Collection of eyewear gives you the opportunity to help others in need. For every pair of frames purchased, a pair is donated to a vision program in Rowanda that helps those in need of eyewear.